When I integrate paypal on my form "other services online form" that I created, the order routes to paypal perfectly, but it does not send the form data to my e-mail. I have to have the data to fulfill my orders. There are two forms. 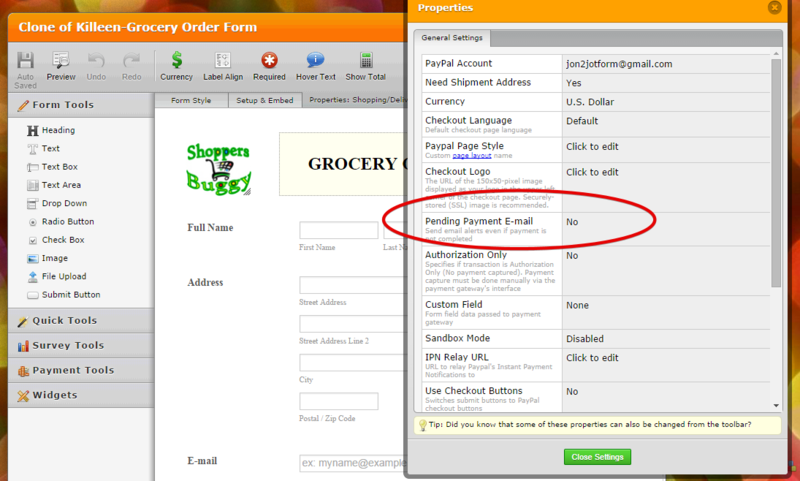 When I take the paypal integration off, the forms work properly. 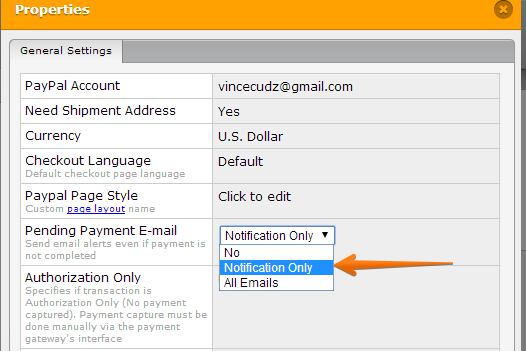 Please make sure also that the Pending payment email for Incomplete Payments in jotform is setup properly. I checked your jotform http://www.jotform.us/form/42546149120146 and I can see that Pending Payment Email is set to NO.